Is Lynda Hopkins in a FOG over proposed pot-grow in Graton? POT, PUMPKINS AND POLITICS Fight over fate of former pumpkin patch puts supervisor on the spot. 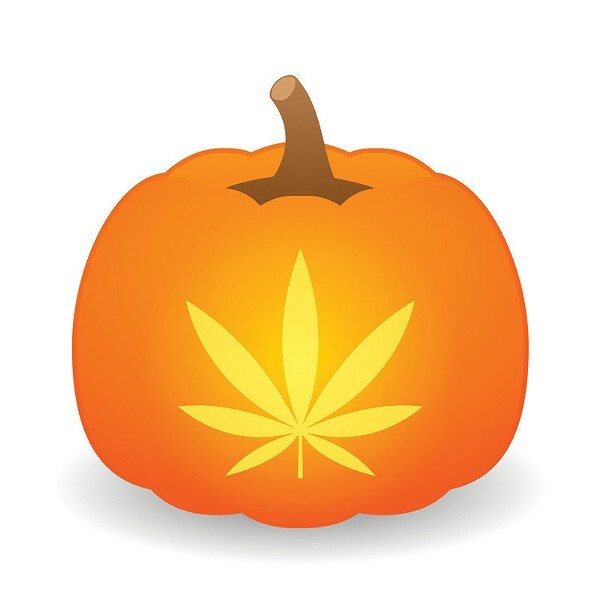 There's a battle underway over the fate of a former pumpkin patch in Graton that a California cannabis entrepreneur and his company, Loud Enterprises, wants to use to grow medicinal pot rich in CBD content. And 5th District Sonoma County Supervisor Lynda Hopkins is at the center of the ongoing controversy over a proposed 13.3-acre grow venture that's opposed by the Friends of Graton (FOG). That organization was formed to oppose a proposal made by Jack Buck, who purchased the land with his family for $1.7 million and would like to use it to grow CBD-rich plants at a new business to be called Jackalope. The proposal comes to some sort of a head next week as the Sonoma County supervisors are set to take up a Hopkins-promoted plan to render Regional Trails into county parkland, which would, under county cannabis ordinances, require a 1,000-foot setback for any pot grow. The West County Trail runs along part of the proposed pot farm, which will need another $1 million to get off the ground, if its conditional use permit is approved. Supporters and lawyers associated with the proposed business are curious about Hopkins' written comments sent to constituents, which appear to signal her opposition to the plan. She says they don't. Letters obtained by the Bohemian between Hopkins and a Graton constituent bear out Hopkins' list of concerns about the proposal—but she says she hasn't taken a position on it in her capacity as county supervisor. Hopkins frames her concerns about the proposal across a few fronts, and plans to enjoin the rest of the supervisors to consider upgrading the designation of local county trails into county parkland at the meeting next Tuesday. That effort, she says in one of her letters to a constituent, is not specific to the Graton proposal, but was prompted by it. She says that staff errors during the writing of the Sonoma County cannabis ordinances left the trail system out of what was considered "parkland" and thus subject to the set-back. In her back-and-forth with the Graton resident, Hopkins pushes back on the constituent's "personal opinion" about what is a park and what isn't—by expressing her personal view that, as a parent who uses the county trails, they're parkland. Hopkins also charges in a letter to a Graton supporter of the business that the applicants improperly lobbied an elected official after submitting their application. In her letter to the Graton constituent, which was provided to the Bohemian by the applicant's lawyer, Hadas Alterman, Hopkins suggests that the constituent Google the term "behested donations"—legal but ethically dodgy donations made to elected officials that are monitored by the California Fair Political Practices Commission. The implication is that Hopkins has accused the applicants of trying to bribe an elected official, which, in a phone interview, Hopkins vigorously denies. "I'm doing no such thing." Hopkins says her concern is that the applicants offered Zane a gift of pumpkins. The supervisor says she questions the timing of anyone lobbying an elected official coupled "with some kind of an offer of some kind of gift, even if well-intentioned." Hopkins also says she's heard from Graton residents who complain about the aroma from cannabis grows—that the pot smell has conspired to restrict the airwaves of some constituents. Hopkins acknowledges in her correspondence that these are "anecdotal" reports and that she has no studies to back up the claim. Hopkins is adamant that she hasn't rendered judgment on the proposal, even if the back-and-forth correspondence with the constituent appears to indicate that she has. She has charged Jackalope with having "not acted in good faith in their relationship with my office and the county," and says that the applicants should have spent more time working with the community before springing their plan on Graton residents. The applicants, through Alterman, have in turn highlighted what they call an absence of good faith on the part of the Friends of Graton, who they say have spread misinformation about the proposal that's been amplified by Hopkins.